I have long drooled over 'Wendy's Wish' Salvia whenever I've seen it offered in catalogues. It's been on my list for awhile now due to the gorgeous fuchsia color of its blooms, but I never could bring myself to pay shipping costs for a plant that is an annual up here. So when I found them at a local nursery this summer for a bargain, I quickly snatched up three! They were perfect for my new gazebo garden in the front yard. It was a great spot for this salvia - full sun, good drainage, good soil. I think they liked the spot. It would help if I read the description of how big plants get before I plant them. These salvia grow to around 3' - 4' wide and high. I planted them about a foot and a half apart. They rebelled and spent the summer trying to escape the garden. As beautiful and vigorous as these plants were, I think the best thing about them was how much the hummingbirds loved them. 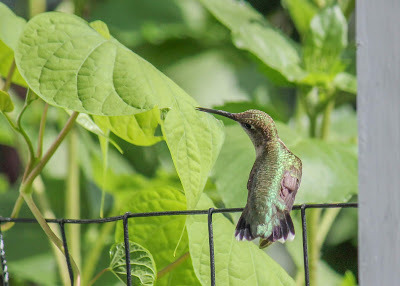 One small female claimed this garden as hers and stood guard over it all summer, chasing away any other hummingbird that dared to sneak in. 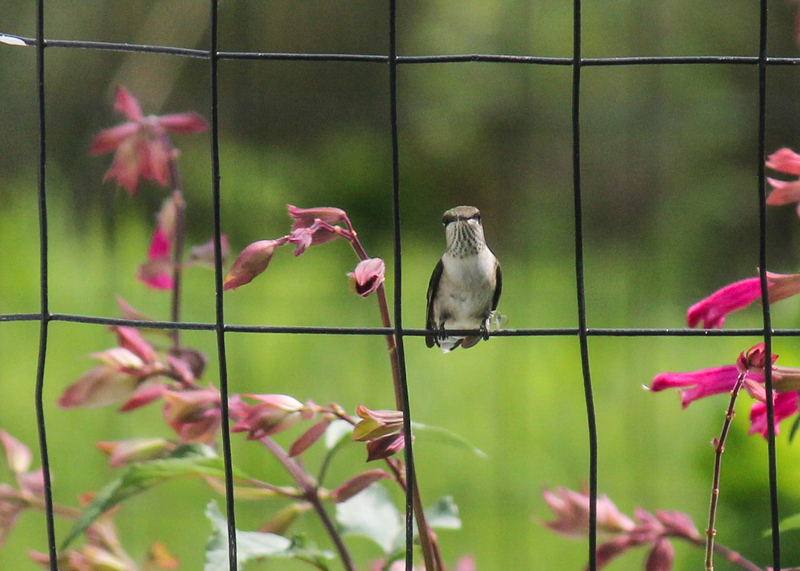 Almost every time I looked, there was a hummingbird. 'Wendy's Wish' Salvia has an interesting and inspiring story behind it. It was found as a chance seedling in 2005 by Wendy Smith, a salvia enthusiast, in her garden in Victoria, Australia. When patenting her plant, she stipulated that a portion of each sale be given to Make-a-Wish Australia, a foundation that grants wishes to children with life-threatening illnesses. This generous action has inspired others to do the same. 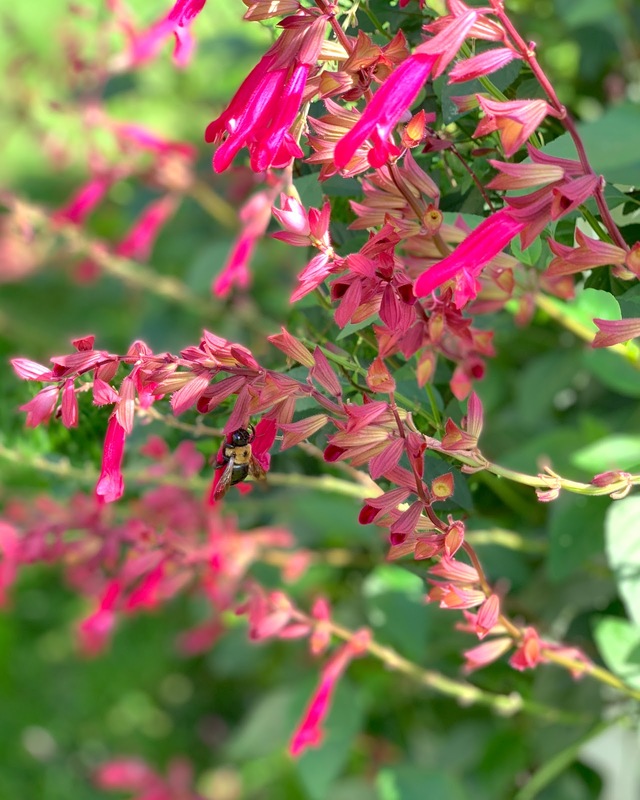 'Ember's Wish' and 'Love and Wishes' are two salvias derived from 'Wendy's Wish' that also earmark a portion of their proceeds to Make-a-Wish Australia. These salvias are hardy to zone 9. They like full sun, but can take part shade in hot climates. They are deer resistant and drought tolerant. They do have a spreading habit, which might look untidy for some. 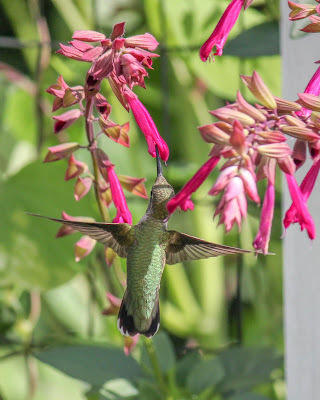 If you want to attract hummingbirds to your garden, though, this is your plant. Lovely to see new plants, which are wildlife friendly. That is some of the best parts about plants! Gorgeous. 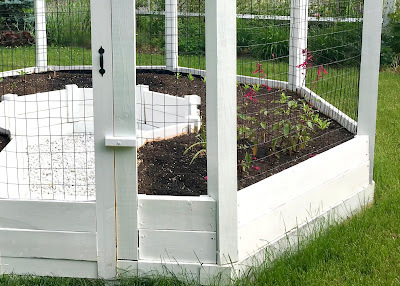 I wonder if it attracts butterflies or would the hummingbirds chase off the butterflies? "Can take part shade in hot climates" would probably be "Needs part shade..." in Zone 9. Gets beastly hot with awful humidity in July and August. Good question. 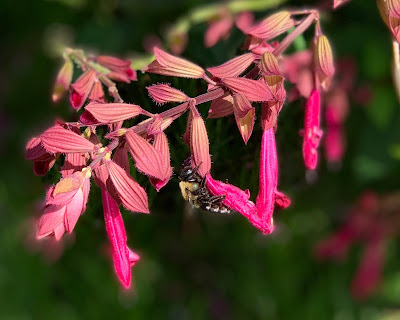 I only remember seeing one butterfly on this salvia, so the hummingbirds might very well chase them off. Where you are, it probably would like some afternoon shade, ha! Hoped 'Wendy's Wish' would winter over for me in zone 8a but it did not. Now in 8b with micro-climate area in 9a, so I'm going to give it another shot. Yours are spectacular! 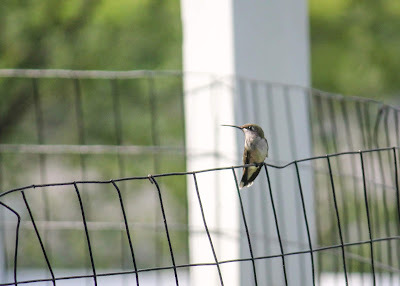 Laughed out loud at the territorial little female hummer. Too cute! Had not seen 'Love and Wishes' but am going to look for it. Some of the sites I've seen even listed it as 'hardy to zone 9b' so 8a might have been too cold for it. Good luck! A gazebo garden, what a fantastic idea. 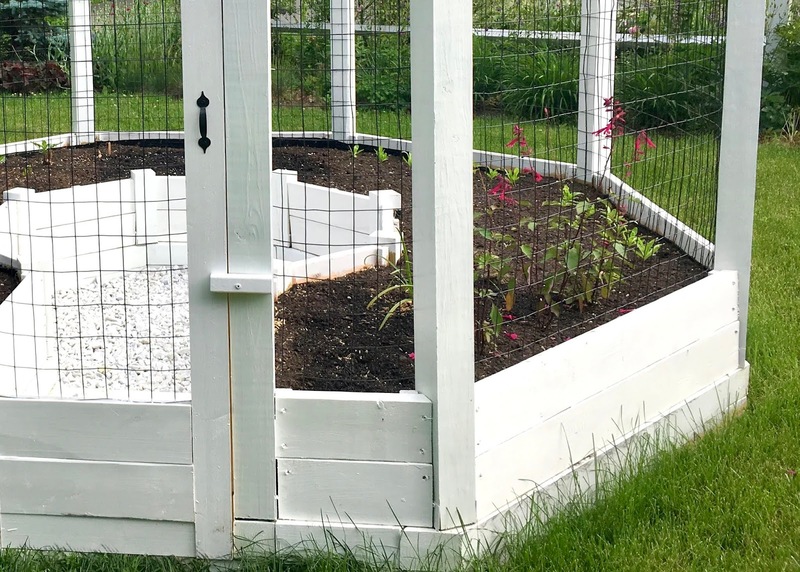 Spending a lot on annuals does go against the grain. 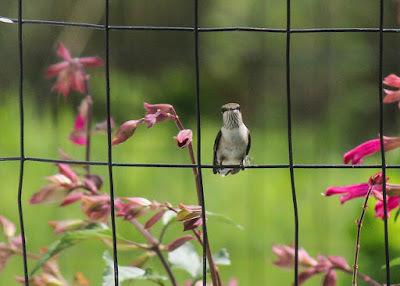 Wendys wish looks wild and wonderful and to catch a shot of a Hummingbird with the wings so clear is an achievment. If I stood still in the garden long enough, the hummingbirds would come and forage right next to me. They loved that plant! Wow, looks like you have the perfect spot for this plant! 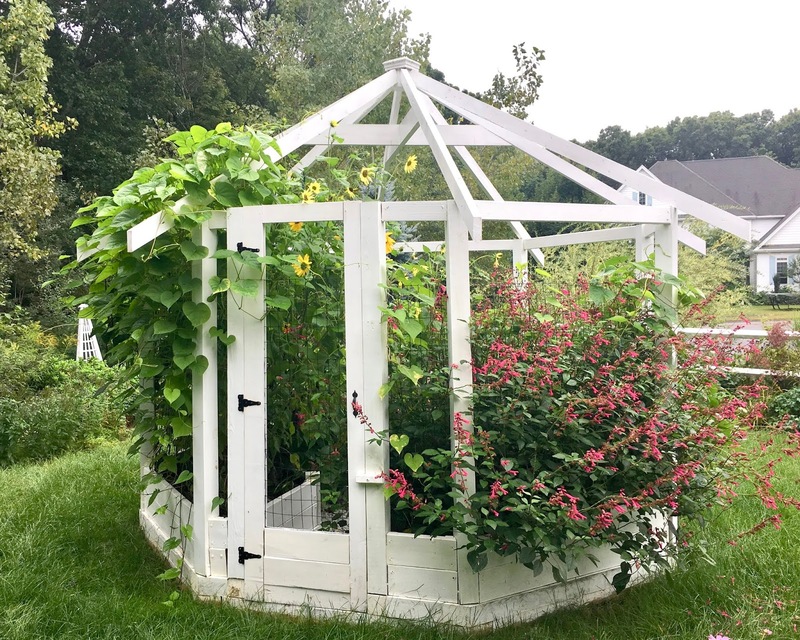 Isn't it amazing that in such a short time annuals can grow so tall? It boggles my mind. I planted mostly annuals in that garden last summer, many from seed, and it was a jungle in there by the end of the season! I grew Wendy's Wish a couple years ago and loved it. It was annual for me, but I will gladly grow it again if I can find a local source. I could have lifted it fairly easily where it was, but sadly by the time I got around to that it had already been killed by frost. I do hope my local nursery will offer them again. 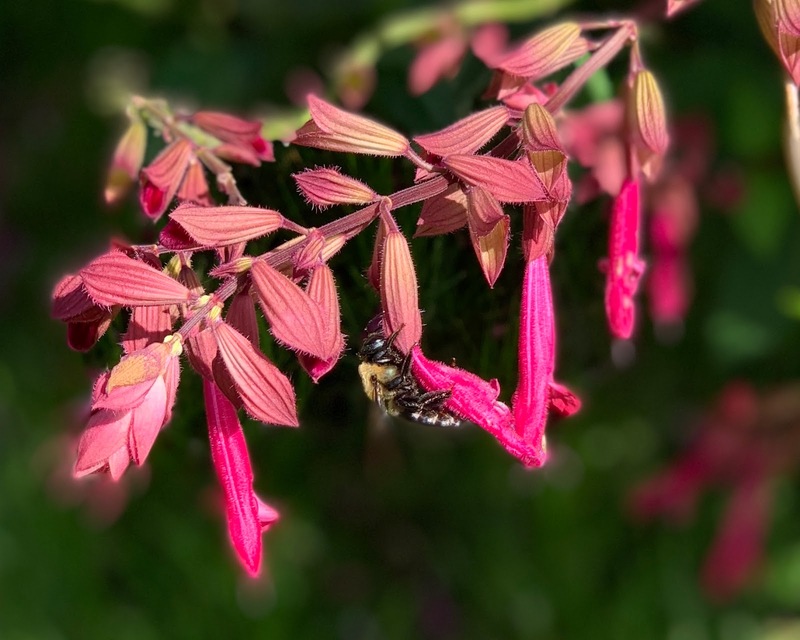 A pretty salvia and a sweet story. I'm glad you were able to find it locally and that it was a hummingbird favorite. I do hope my local nursery offers it again! 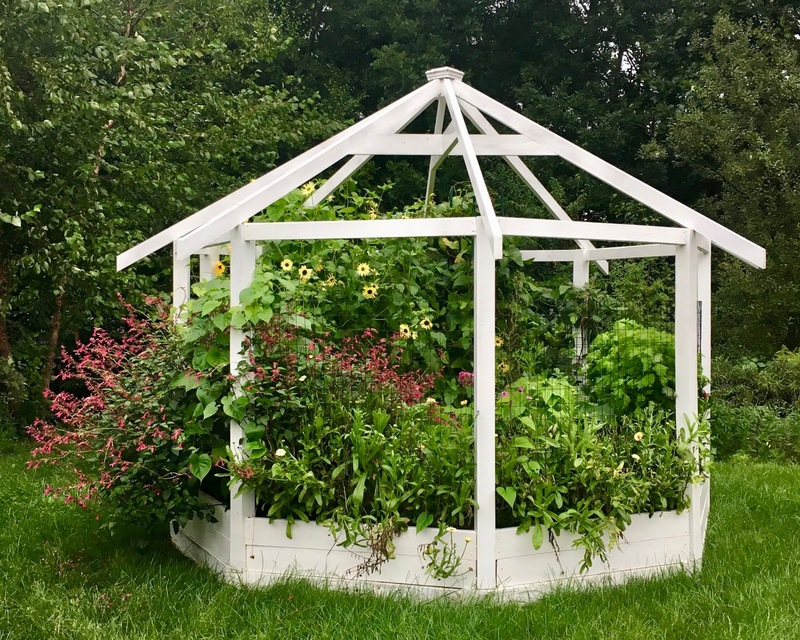 Your salvia clearly loved life in the gazebo. Salvias have to be one of the most useful garden plants. I think they grow just about everywhere. I don't have Wendy' Wish but have many others. Talk about falling in love with salvias. 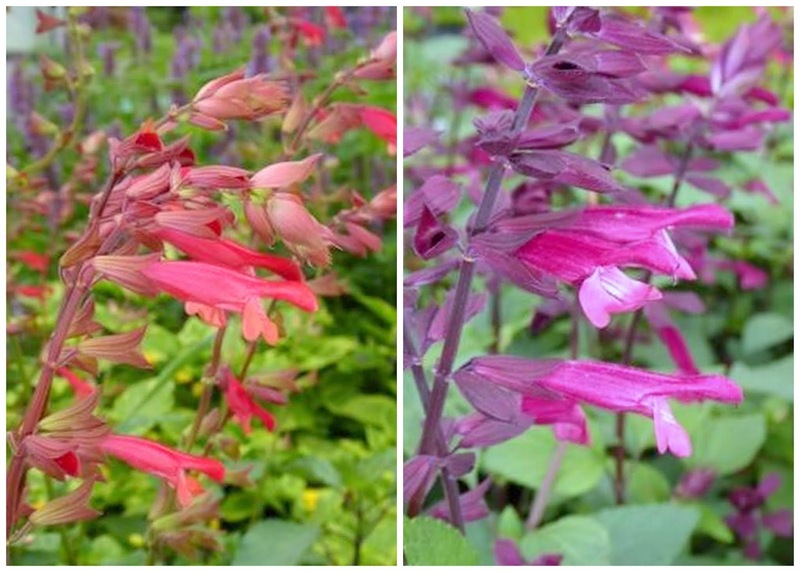 I fell in love with Salvia 'Amistad' Last year. Another free-flowering beauty and wonderful cut flower. That is a gorgeous one, too. I really love 'Black and Blue', which that reminds me of, and I'm sad it isn't perennial up here. You have taken some terrific hummingbird photos. The first one where you stooped her wings is the best! I long for the return of the hummingbirds, but must be patient. May is a long time off. Oh wow, that is a really happy plant! 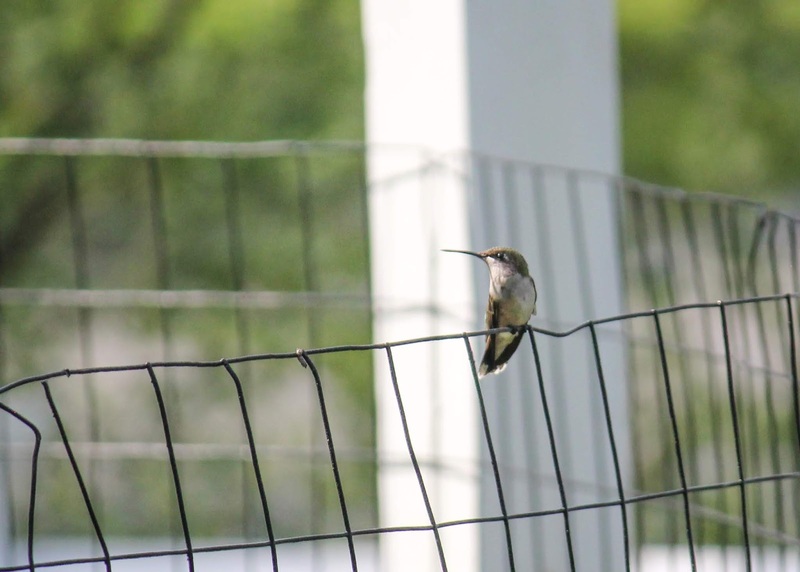 Also, great pics of the hummingbirds. They do love Salvias! Thanks! They were very very happy there! Sorry, I was logged in my other account! Separate Thanks for the hummingbird pictures!